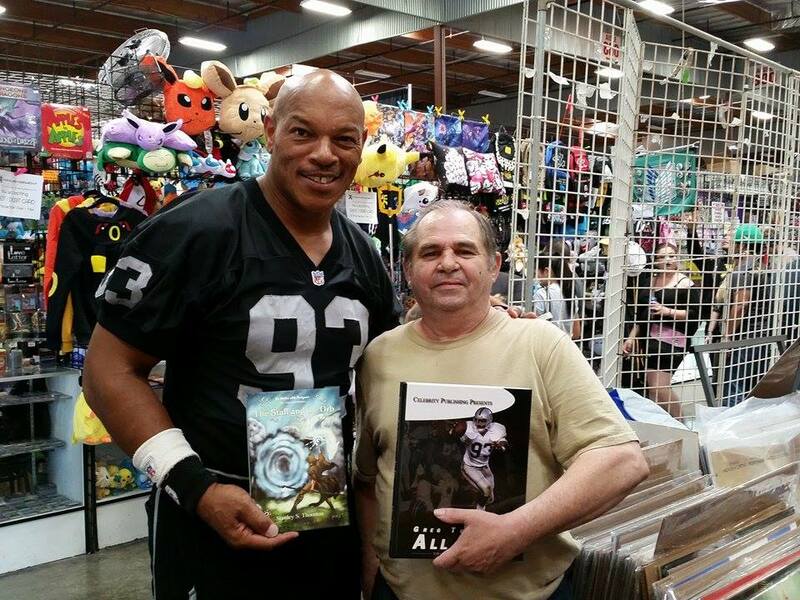 This is Greg Townsend and I at Frank & Son Collectible Show in City of Industry, CA. on August 9, 2014. He’s holding my book, The Staff and the Orb, and I’m holding his book, Greg Townsend All Time. His book is the first book to have actual highlights inside the book, in the form of QR codes. You’re not a Raiders fan if you don’t own it.